This place is amazing. 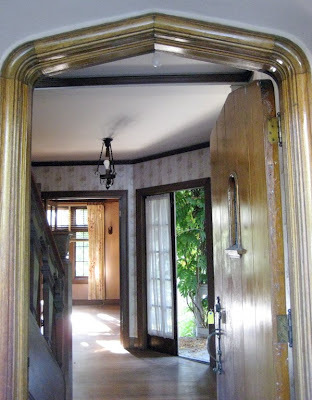 Check out the entry door. Square is so, well, square. 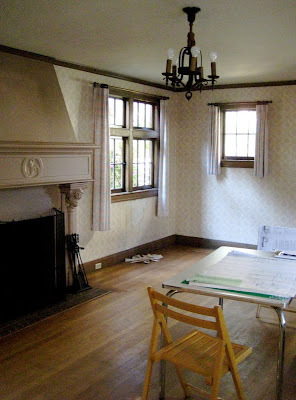 This living room will stay largely intact. The fireplace deserves a post all to itself. On the left column is a happy elf and on the right column is a grumpy elf. In the center is an old Celtic symbol that needs further research. The formal dining room will also stay intact. 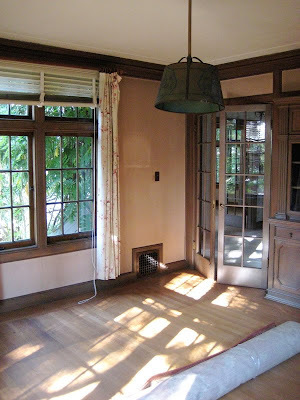 Check out the original 1920s light fixtures (going away, sadly) and the built-in hutch that matches the gum wood trim. This house is meticulously preserved, I love it!